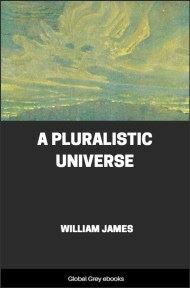 The Varieties of Religious Experience: A Study in Human Nature is a book by Harvard University psychologist and philosopher William James. It comprises his edited Gifford Lectures on natural theology, which were delivered at the University of Edinburgh in Scotland in 1901 and 1902. The lectures concerned the nature of religion and the neglect of science in the academic study of religion, in James' view. 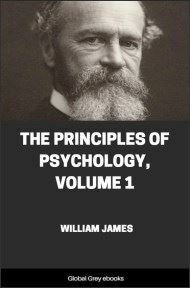 Soon after its publication, the book entered the canon of psychology and philosophy and has remained in print for over a century. It is with no small amount of trepidation that I take my place behind this desk, and face this learned audience. To us Americans, the experience of receiving instruction from the living voice, as well as from the books, of European scholars, is very familiar. At my own University of Harvard, not a winter passes without its harvest, large or small, of lectures from Scottish, English, French, or German representatives of the science or literature of their respective countries whom we have either induced to cross the ocean to address us, or captured on the wing as they were visiting our land. It seems the natural thing for us to listen whilst the Europeans talk. The contrary habit, of talking whilst the Europeans listen, we have not yet acquired; and in him who first makes the adventure it begets a certain sense of apology being due for so presumptuous an act. Particularly must this be the case on a soil as sacred to the American imagination as that of Edinburgh. The glories of the philosophic chair of this university were deeply impressed on my imagination in boyhood. 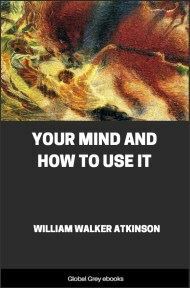 Professor Fraser's Essays in Philosophy, then just published, was the first philosophic book I ever looked into, and I well remember the awestruck feeling I received from the account of Sir William Hamilton's classroom therein contained. Hamilton's own lectures were the first philosophic writings I ever forced myself to study, and after that I was immersed in Dugald Stewart and Thomas Brown. Such juvenile emotions of reverence never get outgrown; and I confess that to find my humble self promoted from my native wilderness to be actually for the time an official here, and transmuted into a colleague of these illustrious names, carries with it a sense of dreamland quite as much as of reality. 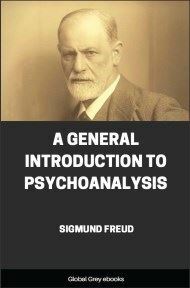 If the inquiry be psychological, not religious institutions, but rather religious feelings and religious impulses must be its subject, and I must confine myself to those more developed subjective phenomena recorded in literature produced by articulate and fully self-conscious men, in works of piety and autobiography. Interesting as the origins and early stages of a subject always are, yet when one seeks earnestly for its full significance, one must always look to its more completely evolved and perfect forms. It follows from this that the documents that will most concern us will be those of the men who were most accomplished in the religious life and best able to give an intelligible account of their ideas and motives. These men, of course, are either comparatively modern writers, or else such earlier ones as have become religious classics. The documents humains which we shall find most instructive need not then be sought for in the haunts of special erudition—they lie along the beaten highway; and this circumstance, which flows so naturally from the character of our problem, suits admirably also your lecturer's lack of special theological learning. I may take my citations, my sentences and paragraphs of personal confession, from books that most of you at some time will have had already in your hands, and yet this will be no detriment to the value of my conclusions. It is true that some more adventurous reader and investigator, lecturing here in future, may unearth from the shelves of libraries documents that will make a more delectable and curious entertainment to listen to than mine. Yet I doubt whether he will necessarily, by his control of so much more out-of-the-way material, get much closer to the essence of the matter in hand. The question, What are the religious propensities? and the question, What is their philosophic significance? are two entirely different orders of question from the logical point of view; and, as a failure to recognize this fact distinctly may breed confusion, I wish to insist upon the point a little before we enter into the documents and materials to which I have referred.